The Great Greene Heist, my first middle grade novel, is unlike anything I’ve written before. Similarly, my writing process for this novel was very different than my process for my other works. Jackson Greene, the main character, has a code of conduct he usually lives by; likewise, I had my own set of rules for writing this novel. Now that The Great Greene Heist is out, I thought it might be interesting to look back at my writing process. 1) Outline, outline, outline.Then outline again. Unlike my other novels, The Great Greene Heist is extremely plot-driven. Before I had written the first real scene, I created an outline. And then another. And then another. Once I started writing scenes and chapters, I continually revisited my outline, tweaking as necessary, and sometimes starting all over again when the outline and the chapters didn’t match. My dedication to outlining resulted in a long, tedious writing process (the novel from inception to publication took about seven years), but now that it’s here, I think it was worth it. 2) Have fun! More than anything, I wanted the novel to be fun—fun for me to write, and fun for others to read. I took elements from a number of my favorite movies—Ocean’s 11, The Thomas Crown Affair, Star Trek II: The Wrath of Khan—and incorporated those into the novel. I figured that if I was having fun and my characters were having fun, then my readers would be amused as well. 3) If you’re going to tell a heist story, know how to tell a heist story in style. I wanted a story with swagger and sophistication. More specifically, I wanted to show people of color with swagger and sophistication. So as I crafted Jackson’s crew—Gang Greene—I tried to reflect the diversity I saw in most of the middle and high schools I visited, and to celebrate it in a fun way that showcased the characters’ differences without being explicitly about those differences. 4) Don’t let your left hand know what your right hand is doing. The best caper movies are full of twists and turns, and are constructed to manipulate the viewer. I wanted The Great Greene Heist to do this as well. I wanted to trick the reader, but I didn’t want lie to the reader. I thought of it as a magic show—make a big gesture with my left hand so you don’t notice what’s happening with my right. Given the amount of twist and turns and the large cast, I eventually realized that the best way to write the novel was in the omniscient point of view. 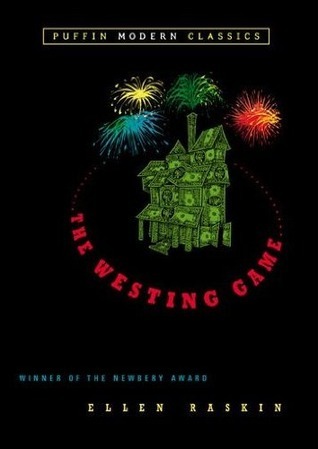 I read, and re-read, and re-read again The Westing Game. I studied the mechanics of how author Ellen Raskin slipped in and out of each character’s head; how she used the narrator’s voice to play with the reader. Her use of omniscient perspective became the blueprint for the novel. 5) Time is on your side. As I said earlier, it took seven years for this novel to hit the shelves. And that’s okay. Every novel works on its own timeline; some take longer than others. And honestly, when I first started this novel, I wasn’t ready to write it. I wasn’t ready to tackle the omniscient point of view; I was scared to jump in and out of the heads of so many characters. I also didn’t think I could write a caper novel—it was a daunting task. But my need to write this novel eventually overcame everything else, and now here I am with a new book. I hope you all enjoy reading it as much as I enjoyed writing it. 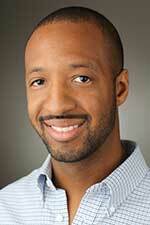 Varian Johnson is the author of four novels, including The Great Greene Heist, a Publishers Weekly Best Summer Book of 2014. His novels for older readers include My Life as a Rhombus, named to the Texas Library Association Tayshas High School Reading List and the New York Public Library “Stuff for the Teen Age” list, and Saving Maddie, a Bank Street College of Education Best Children’s Book. sounds like an amazing process. congrats on 7 years worth or work paying off! I just started it yesterday and I’m loving it!!! I love hearing about the process thanks so much!! My copy of “The Great Greene Heist” arrived yesterday. I’m saving it until my granddaughter is out of school so we can read it together. I know she’ll love reading this blog post, too. This sounds like a great read. I’ve ordered it but I also thank you for reminding me about The Westing Game. It’s been on my to read shelf for ever so now I’ll move it to the top of my summer reading pile. I really enjoyed The Great Greene Heist! It’s exactly the sort of story I would have wished to live in when I was a middle-schooler. Seven years and all those outlines; sounds exhausting, but I think it payed off because the book is full of smart twists and a speedy pace. Will have to take his words to heart when I get frustrated trying to wrestle with the third outline of my own middle grade book. And “time is on your side,” is absolutely something I needed to hear. Great advice! This is so exciting! 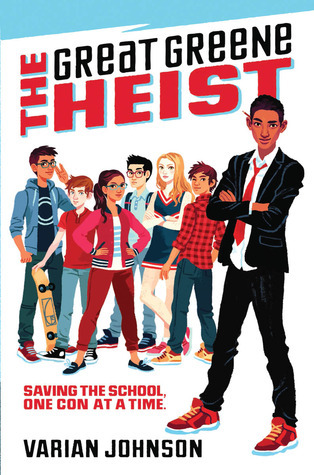 I already can’t wait to share The Great Greene Heist with students this year (I read it earlier this summer), but now I can’t wait to share your post with the ELA teachers and it can become an incredible teaching tool for writing. Most kids don’t like to plan and want to write one draft–and you’ve solved that! Plus I love that you mentioned your mentor text (one of my favorites from childhood). Now the kids will want to read The Westing Game too. Thank you so much and please please keep writing for middle grades! I loved The Great Greene Heist! I acquired an advanced copy from an Author’s Unlimited event, and I can tell that it is, and was, a great book, one of my favorites, which I have read more than 5 times. A couple of my friends from middle school and I are trying to make a book inspired by the Sugar Creek Gang Series. We are in charge of two characters per person. I really want my character to be as cunning, clever, and good natured as Jackson Greene (my character is a definite tomboy). He is my favorite character of all because he knows how to balance everyone’s skills to perfection while doing much of the work as well. I love how he orchestrates the perfect con with a wink. I really want my character to be that way. How did you come up with Jackson and the perfect plot? I feel like my characters are underdeveloped, but I don’t know how to get that perfect cunningness into my character… Thank you for an amazing book!!!!!!!!!!!!!!!!!!!!!!! I really hope to see you at the Authors Unlimited event. I admire your work and I would love to meet you.